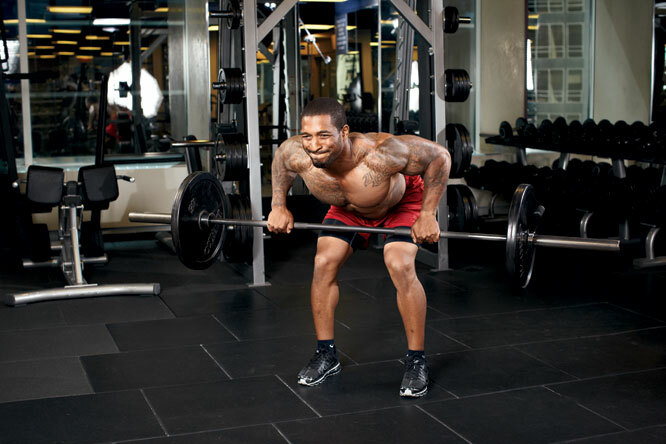 Change up and fire up your barbell workout finishers with these 5 challenging variations. Throwing finishers at the end of workouts always reminds me of Mortal Kombat fatalities when they say, “Finish Him!” Essentially, for those who have never heard of finishers before, they do exactly that: finish you off with a challenging, usually highly metabolic, circuit or high-rep exercise to transform your body into a calorie-burning machine. Thanks to excess post-exercise oxygen consumption (EPOC phenomenon), your body burns calories during and long after the workout. Limited by your imagination, finishers can consist of anything from high-rep back squats to a chin-up/push-up circuit, but my personal favorite is the barbell (BB) complex. They are physically and mentally challenging and are great for GPP (general physical preparedness) development. BB complexes have been made popular by Istvan Javorek (Javorek Complex), Randy Couture and Dan John. For those unfamiliar, a complex is a challenging combination of exercises performed with an implement (BB, dumbbells, sandbags, kegs, etc.) in succession without placing it down between reps or exercises—think of circuit training on speed. The trainee or person performing a complex should have technical proficiency in each individual exercise before linking the exercises in succession. Remember, the first rule in the gym is to do no harm. Randy Couture's famous BB complex uses a 95-lb. bar (25-lb. on either side). Perform this complex for 5 rounds or 5 sets with a 60-second rest. …which equals 64 reps per set!! The Problem: Most times, BB complexes are performed similarly to the example above. Most trainers seem to think the principles used to design complexes are set in stone. The Solution: Think outside the box and apply these five tips to take your finishers to the next level.